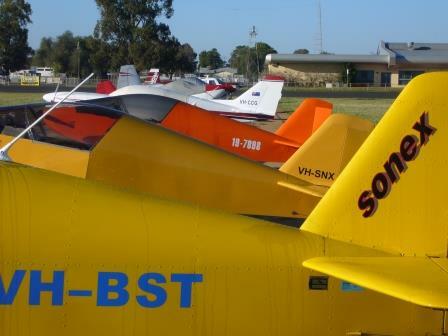 Kyneton to Narromine Sept 2014 #sonex #Narromine #flyin This was the weekend that was scheduled for Ausfly, which unfortunately was cancelled, but several Sonexes made the trip for the Sports Aircraft AGM; Stuart Trist for the meeting, and Doug McLean and Peter Anson just for the fun of the flight. 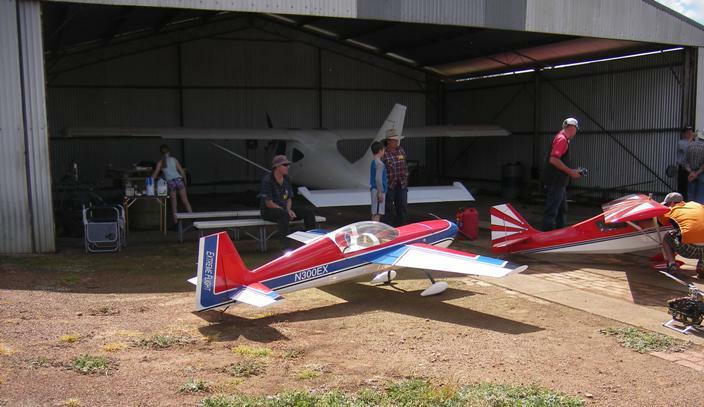 It turned out to be an enjoyable weekend – airfield camping, plenty of people to talk aeroplanes with, BBQ and salads put on by the aero club and even a trivia night. Did you know that a capon was a castrated rooster? Neither did I. Here are a few photos from the trip. 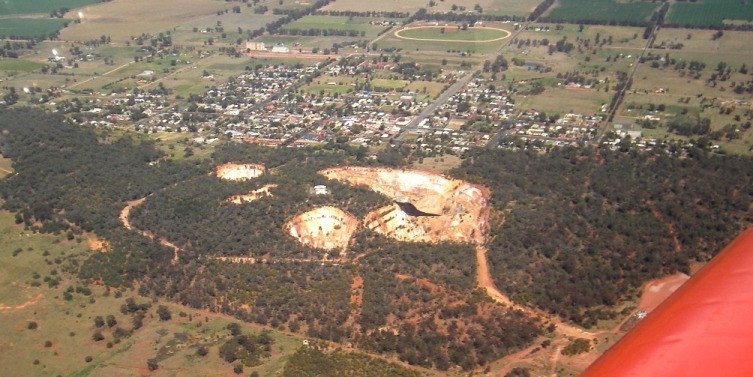 Open cut gold mine at LakeCowal – First they built a retaining wall to dam the lake, then they started digging. It’s more than 1 km across and 360 m deep. 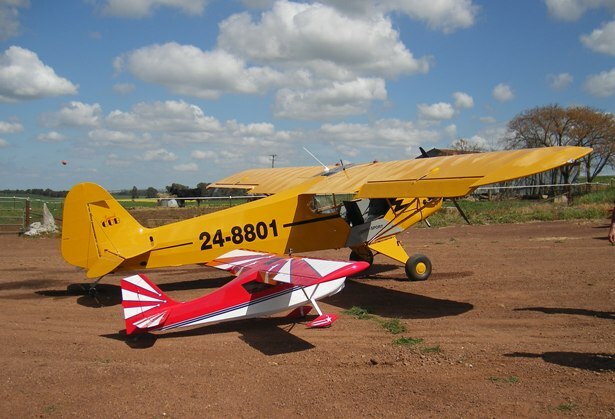 On the way up, Doug and I stopped at John Unger’s property north of Parkes where Chapter 38 of the SAAA were having a fly-in. 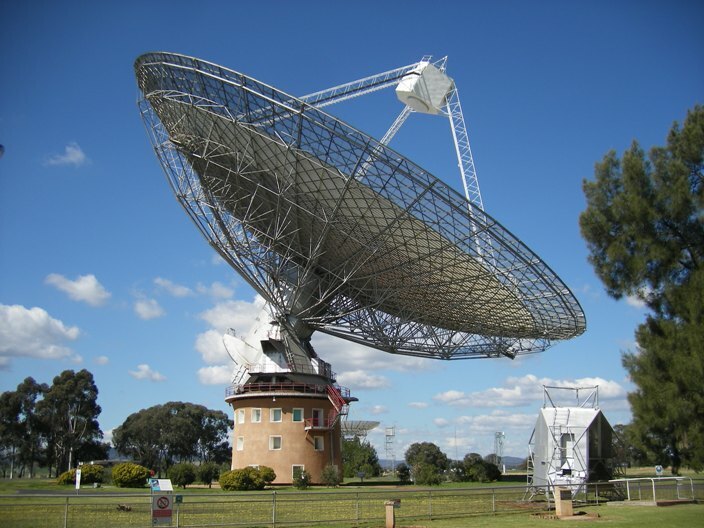 It’s only a mile from the radio telescope giving me a great photo opportunity. Here it is from about 1000 ft AGL. I had to go considerably lower for the following pic. Here is John’s hangar housing his Mazda rotary powered Glastar. Aren’t the blowflies big in the country? We witnessed a terrific flying display by both of these models plus a model helicopter. When I grow up I want to be a Cub. 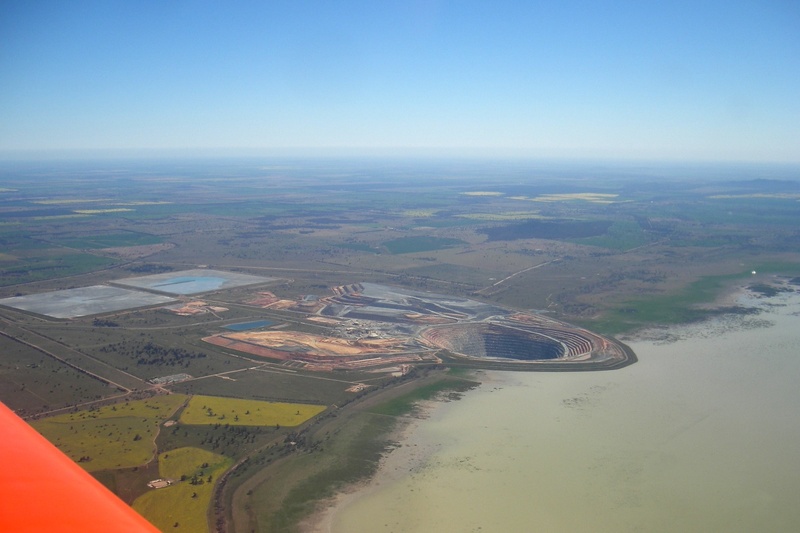 On the trip from Parkes to Narromine I flew over Peak Hill, soon to be renamed Peak Hole. 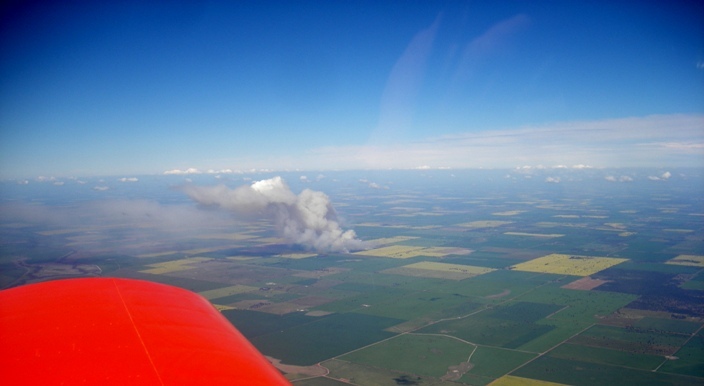 On the way home this photo of a grass fire near West Wyalong also illustrates the flatness of so much of Australia. I had to go up to 8500′ to get above the thermals. 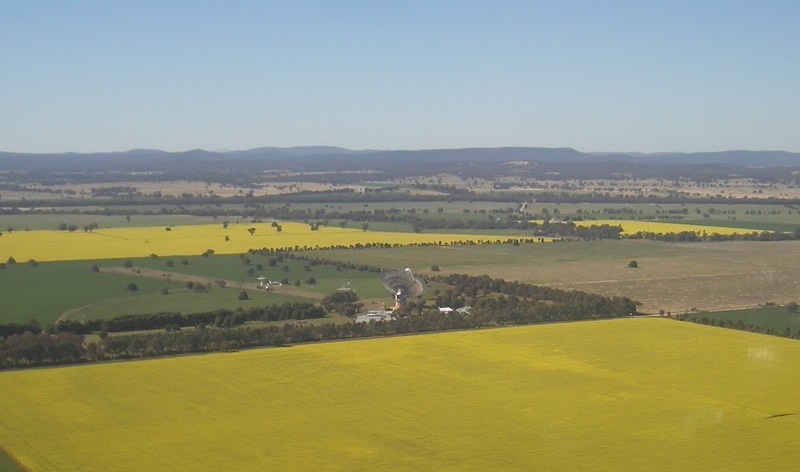 Closer to home is the giant Waranga Basin near Shepparton. If you look closely you might notice a giant pop rivet floating on the lake. All in all it was a pretty enjoyable weekend. 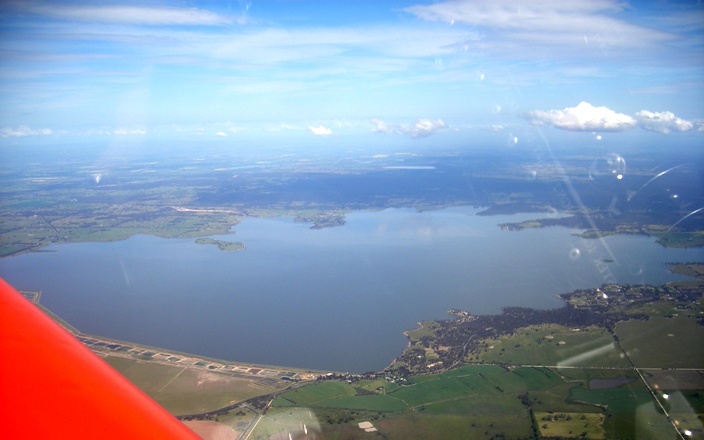 I had light headwinds both ways (curses) and a stop for fuel from the self-serve pump at Narrandera, making it about 3 1/2 hours each way. Doug made the observation that it seems the only people who sleep in little tents at flyins are the Sonex owners…says something about our financial status!! Great to catch up with Doug and Peter.